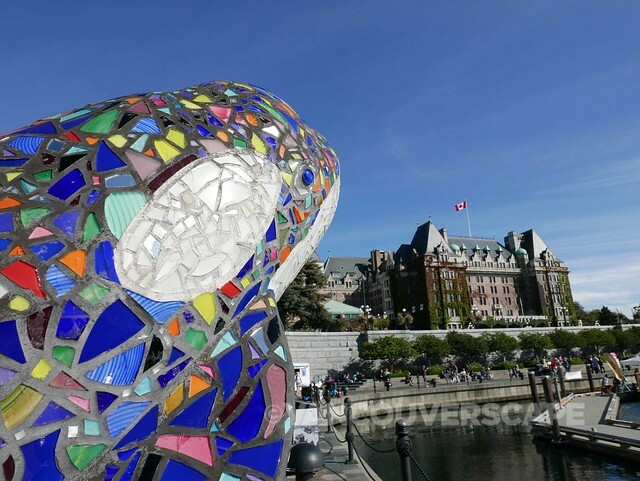 Heading to Victoria last weekend, we stopped in for a relaxing two nights at Hotel Grand Pacific, a luxury hotel that hugs the city’s inner harbour. This has become one of our favourite places to recommend for a comfortable home away from home. 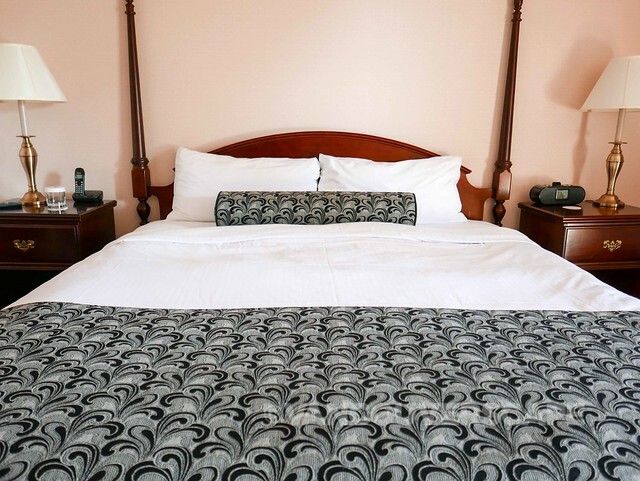 The Grand Pacific is at once modern and classic, the rooms containing a mix of furnishings and accents. Rated 4 Green Keys (via a national eco-rating program), the hotel aims to limit its carbon footprint, reducing water and energy usage wherever possible. We like that the rooms have balconies with sliding glass doors, drapes that shut completely, and a quiet airco system. Rooms are equipped with lamps that have outlets at their bases and wifi is included with your stay. 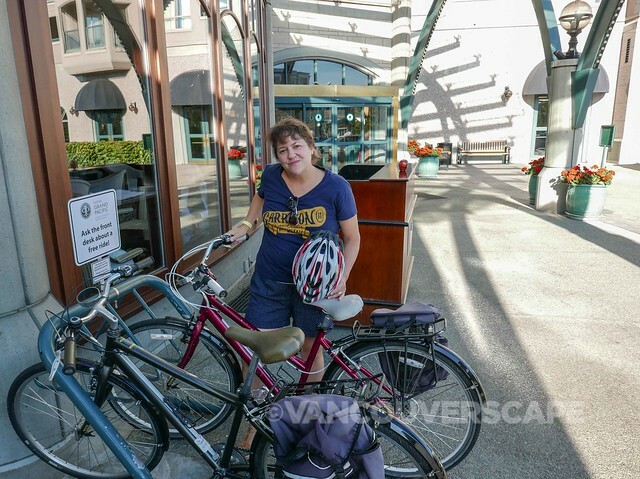 We took advantage of the hotel’s complimentary guest bike program, heading off to the sold-out Great Canadian Beer Festival at Royal Athletic Park, about 20 minutes away. Bikes, locks, helmets, panniers and a bike map were all included. Craft beer sampling and full-on sunshine made for a most enjoyable start to the weekend. 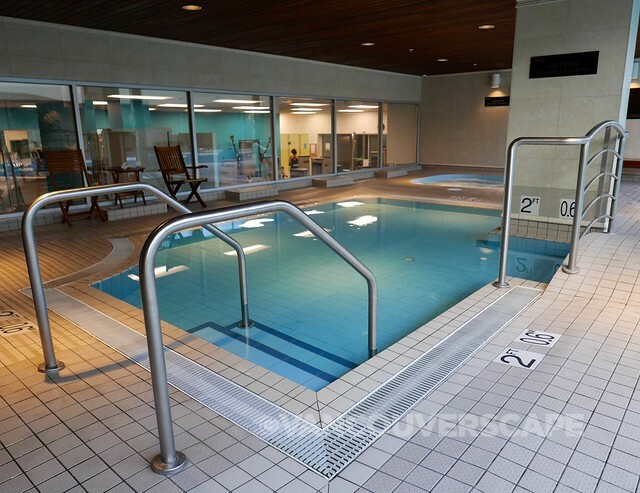 Another great aspect of this hotel: free access to the Victoria Athletic Club. 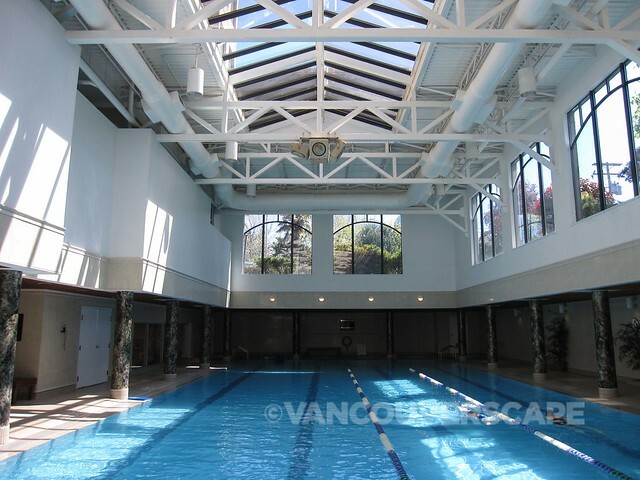 Here you’ll find a 25-meter indoor pool, cardio and weight room, fitness studio, sauna, steam room and whirlpool. Yoga and fitness classes are available for a $10 drop-in fee. 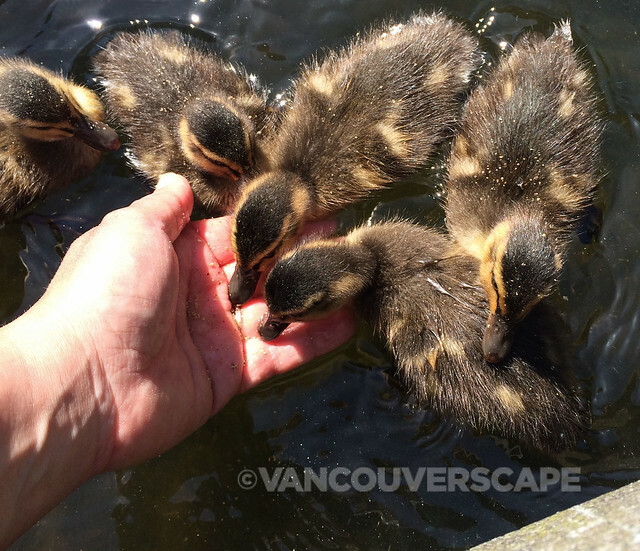 If you’re here in spring, you might get to see ducklings in the pond out front, especially when long-time caretaker Joe stops in to feed them. I’ve seen dozens of ducks follow Joe single-file over to a nearby fountain for a dip. Dining at the Grand Pacific includes The Pacific Restaurant and Terrace, The Pacific Lounge (West coast casual fare, cocktails), The Courtyard Café, and the upscale Private Dining in The Mark for special occasions. 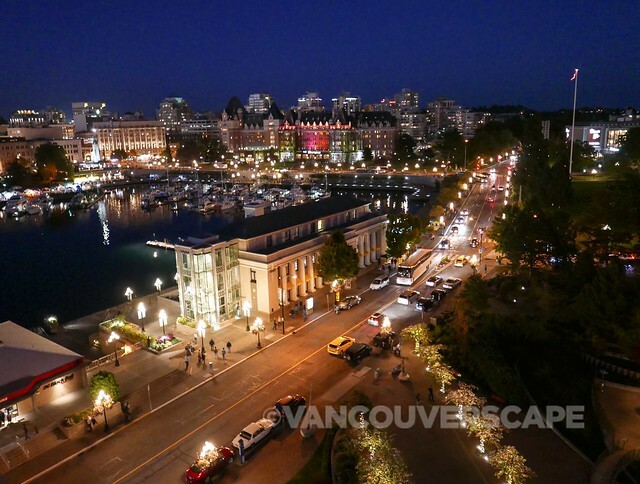 The Grand Pacific is a mere 10-minute harbour stroll from Harbour Air’s seaplane terminal and a quick jaunt from Helijet. Both offer complimentary shuttles to downtown hotels and offices. 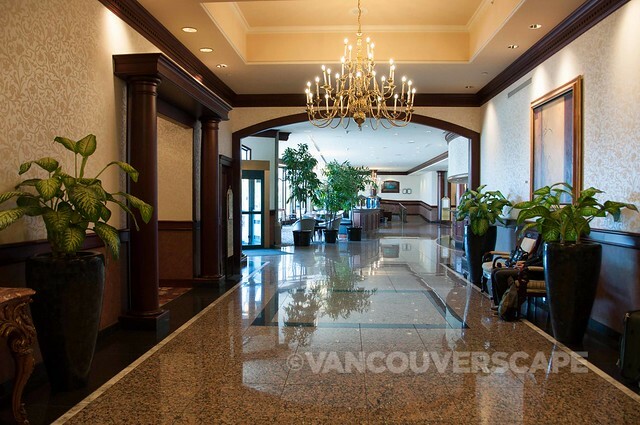 This Preferred Hotels and Resorts property is close to the Royal BC Museum currently featuring the Gold Rush! 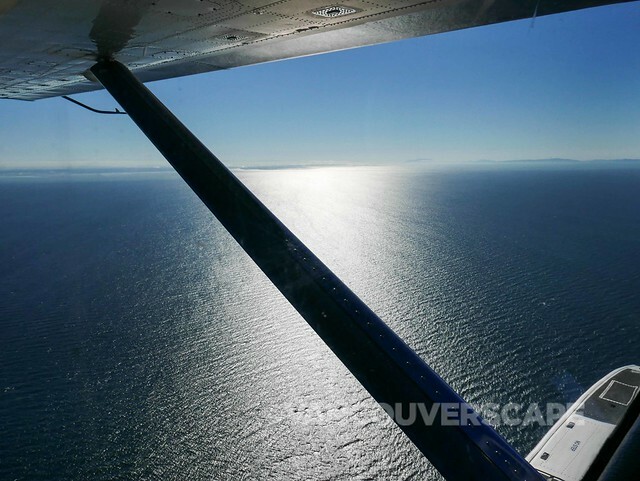 El Dorado in B.C. exhibit on through October 31. This well-documented exhibition – with over 400 artifacts – brings to life the BC Gold Rush era as numerous prospectors from around the world came to claim their fortune. You’ll get to see the largest existing gold nugget (from BC) clocking in at 1,642 grams (52 ounces), view a stagecoach used in the mid-1860’s from Victoria to Barkerville as well as 100 pre-Hispanic gold treasures (on loan from the Museo del Oro in Bogotá, Colombia). The smoke alarm placement! Ours was right above the bed and glowed a distinctive green at night. It would be nice to have it elsewhere in the room. 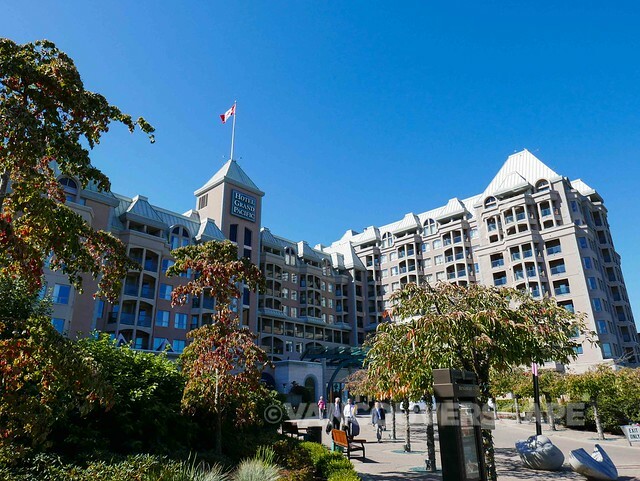 The Hotel Grand Pacific is located at 463 Bellevue Street in Victoria. We were guests of the Hotel Grand Pacific. Opinions, as always, are our own.